New study published in the American Journal of Infection Control (AJIC). Know when and where mobile equipment was disinfected with UVC. CSGI offers the only UVC program proven to reduce HAIs in a peer reviewed study. Poor disinfection processes, poor outcomes, poor hospital. 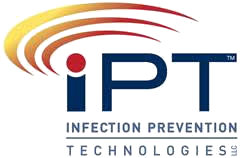 CSGI is an Authorized Distributor of Infection Pevention Technologies, LLC.